After the final week of play, Auburn and Oregon finish No. 1 and No. 2 respectively in all six BCS computers, with some disagreement below that. Both will be headed to the BCS National Championship Game after completing perfect seasons. TCU and Oklahoma finish with strong computer support as well, finishing No. 3 and No. 4 in the eyes of the computers. 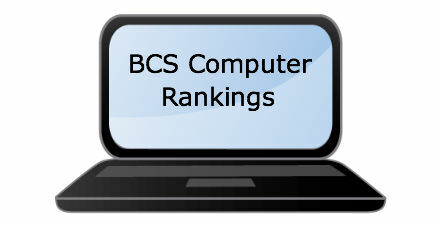 With BCS chaos at a minimum and two teams romping through their final weekend tests, the final BCS rankings were less a surprise and more of a formality. Auburn and Oregon finished a strong 1-2 in the final BCS standings of the 2010 college football season, setting up their long-awaited and long-predicted meeting in the BCS National Championship Game on January 10. The rest of the standings played out rather unsurprisingly, with TCU, Stanford and Wisconsin rounding out the top five. All three teams are on their way to BCS bowl games as well. TCU takes advantage of two BCS clauses to head to the Rose Bowl — the one which gives an automatic BCS bowl bid to the highest ranked non-AQ conference champion, and the one which gives that team a Rose Bowl berth if the “Granddaddy of Them All” loses either the Big Ten or Pac-10 champ to the BCS title game. The Horned Frogs will take on Wisconsin in Pasadena, as the Badgers finish ahead of both Ohio State and Michigan State to claim the Big Ten’s automatic bid to the Rose Bowl. Stanford also qualifies automatically as the highest ranked AQ conference member to not win its own conference and still finish in the top four. The Cardinal will be on their way to Miami to play in the Orange Bowl. The Cardinal will be joined in Miami by ACC Champion Virginia Tech, who finish inside the BCS top-14 despite starting the season 0-2 with losses to Boise State and FCS James Madison. No. 6 Ohio State fails to receive an automatic bid to a BCS game, but its quickly scooped up by the Sugar Bowl, who also took a ticket on No. 8 Arkansas to set up a very attractive early-January bowl game in New Orleans. No. 7 Oklahoma, who needed a 17-point comeback on Saturday night to claim the Big 12 Championship Game against Nebraska will fill the Big 12’s automatic spot in the Fiesta Bowl. And yes, the Fiesta Bowl will be hosting the Big East champion Connecticut Huskies, who fail to even register in the BCS top-25. 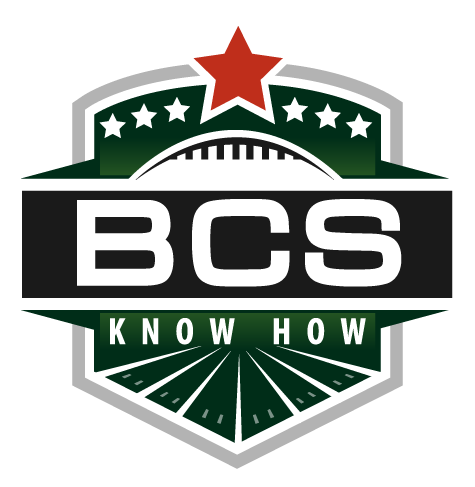 So there you have it, the BCS bowls are set, as well as the final BCS standings. Not too many surprises here, but we’re no where close to the end of the college football season — the yearly extravaganza of 35 bowl games in 24 days is headed our way. Nailed 1-14, mixed up 15-16 and 17-18. The BCS rankings had an error in their final tabulation, as the Colley Matrix miscalculated its final rankings. LSU was ranked No. 10 in the final rankings, but should be No. 11. Boise State was No. 11 but should be No. 10. These changes are reflected in the rankings above.